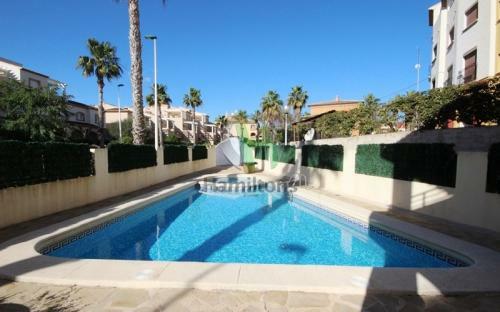 Hamiltons of London has been based in the Costa Blanca area for more than 10 years, helping thousands of people realise their dream when buying, selling or renting a property here in Spain. Their dedicated and approachable multi-lingual team, based in Javea, have an extensive knowledge of the local area and to ensure clients find their ideal home in the perfect environment at the right price. They have in-house specialists to help you every step of the way. They pride themselves on spending time researching and refining the specific needs and wants of their clients, always enthusiastic, professional and dedicated to making sure they understand exactly what you are looking for and working with you to ensure they find it. As well as the properties in their database they offer a professional property finding service, giving you the security and confidence that they will find your perfect property. From advice on mortgages, tax and legal checks to currency transfers or using their summer holiday rental and long term rental experience, Hamiltons are here to help make your dream become a reality. Long-Term Rental Property Search - They have many properties available for rent in the Javea area. For holiday rentals, please see their sister company Javea Villas. Looking for a Mortgage? - Their mortgage advisors can help you. They can arrange mortgages on their properties in Costa Blanca. Property Management Services - A comprehensive range of property services including: cleaning, laundry, linen hire, pool maintenance and garden maintenance. See more here and view photos below.